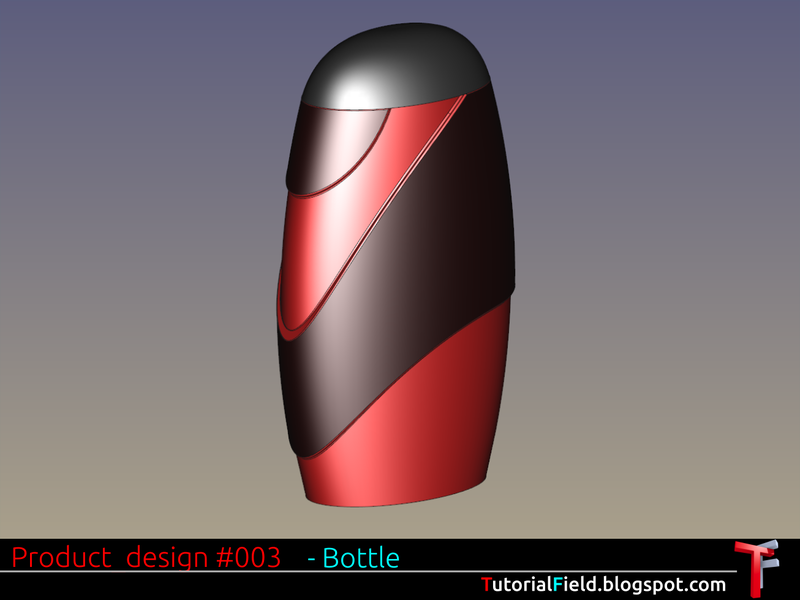 A bottle, maybe one of the most covered subjects in designing. As i remember, from the time getting into industrial design, there was the whole one period of bottle studying, for students, and for teachers, or professors. Students did have problems with the bottles, and teachers with the student bottles, they were not always the good ones. But then comes 3d modeling, how to start the "thing" already, just ain't gonna start by watching. I had a fun time, that's for sure. Now, with this video, i wanted to show the way on how to model comlex shapes by using primitives, or a bit more complex primitives. It's all in a logical order, by adding or subtracting parts of a material. If, from a designed model, we can recognize more objects, like those primitives are, than the model will be made of more simple parts in one combined object. Technic requires practicing, but in the end, it gives us ability to create complex organic shapes, if design requires it. Thanks for posting this blog, i am very impressed with your blog and it is very useful for me and other. Please visit at "Prototyping/ Product design/ PCB Design | 3d Printing & Injection Moulding | Manufacturing Small scale to large scale. ", i hope it be prove useful for you.